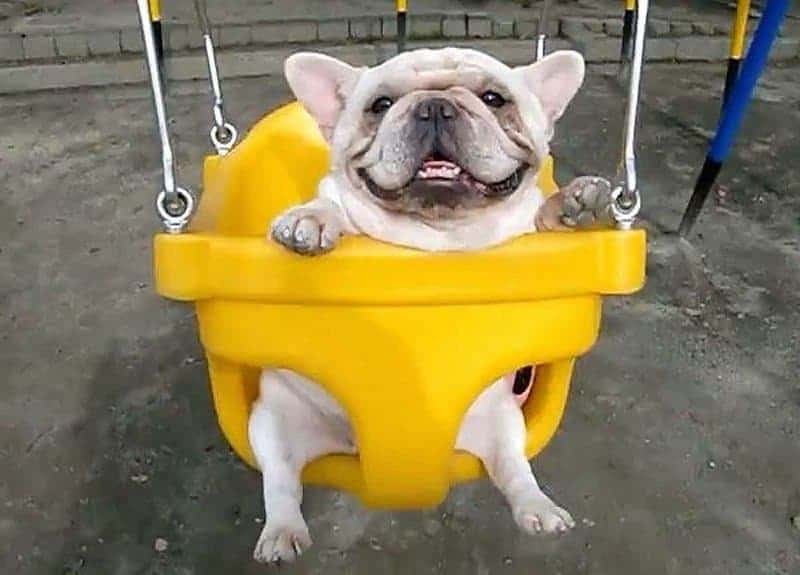 The only thing that could make this any cuter is hearing that Frenchie exclaim “Weeeee!” Smiles don’t look much happier than this! 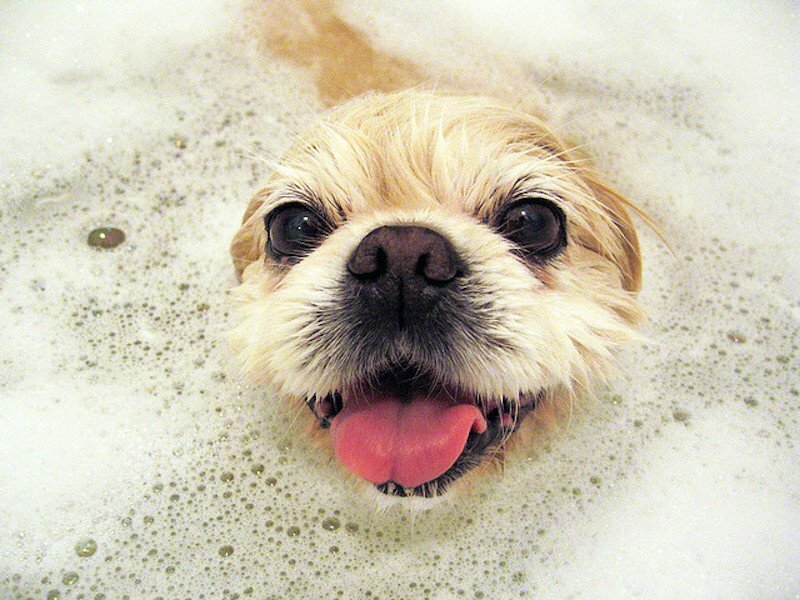 Good luck finding a cat who finds the bathtub as joyful as this little pup. 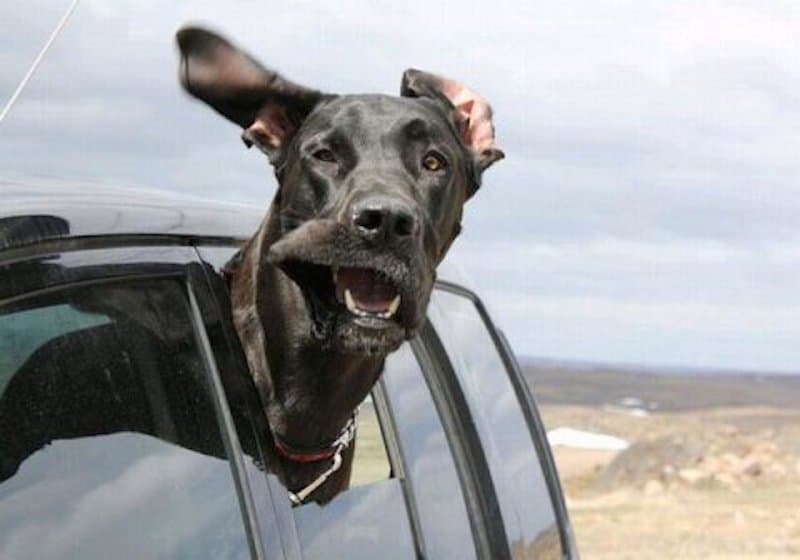 Don’t forget to wash behind your ears! 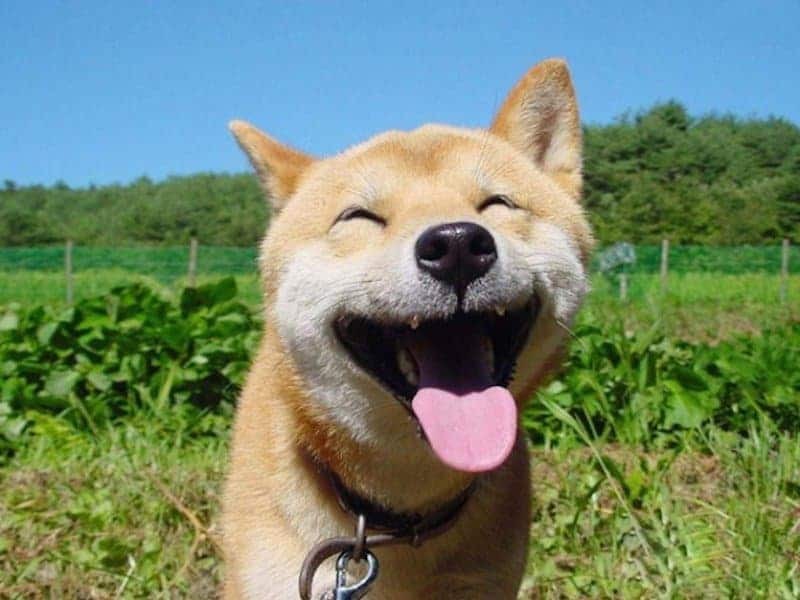 Anyone who’s around to see this dog’s smile when she’s in her happy place probably feels pretty happy, too. 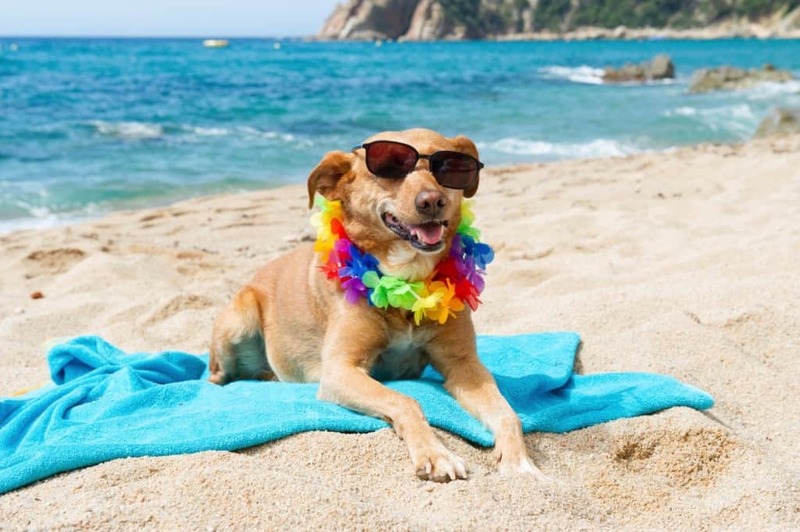 All this guy needs is a pair of cool sunglasses and some great music and he’s all set. Looks like a pretty fun road trip. 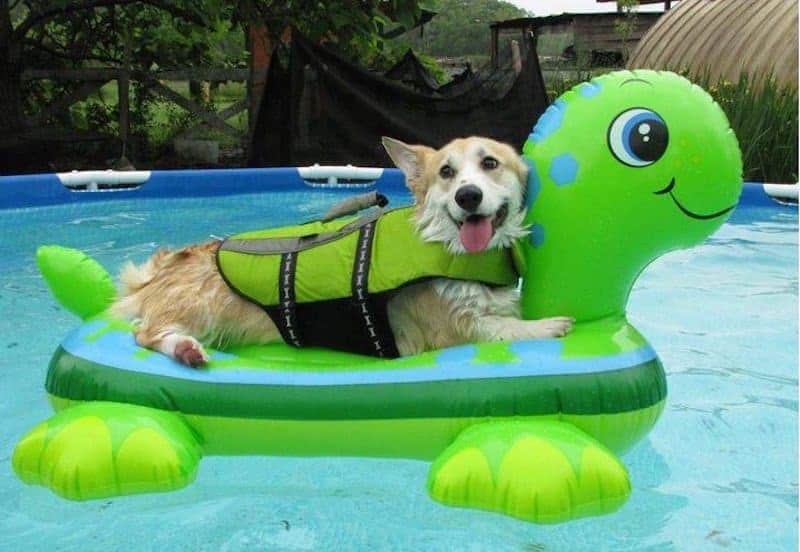 Get this Corgi his floaty turtle friend, a pool, his life jacket and he’s in his happy place! Pretty simple requests. 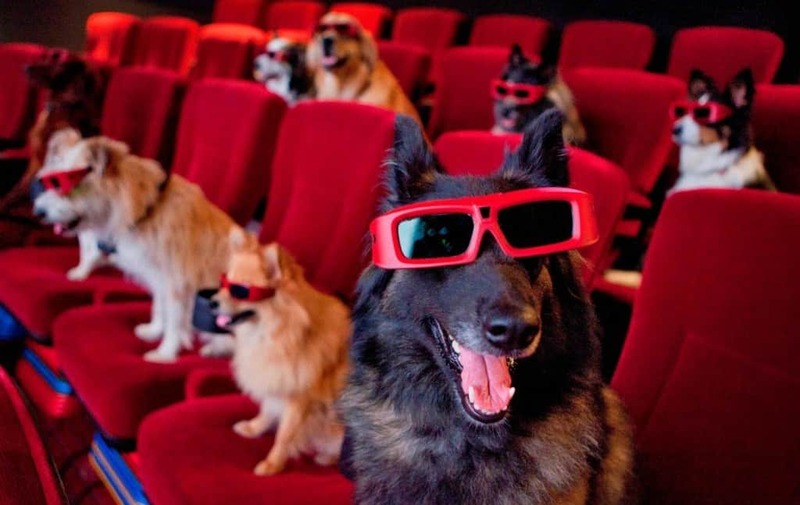 Surrounded by your pooch pals and enjoying a 3D movie sounds like a pretty good choice for a happy place for humans, too! 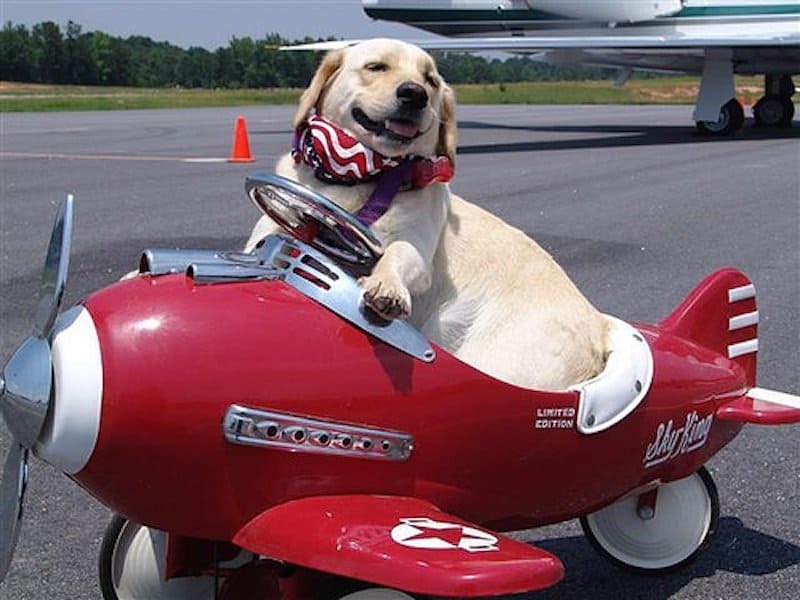 That look appears to be a combination of pride and happiness in getting his Dog Pilot’s License. Now he just needs some flight goggles. 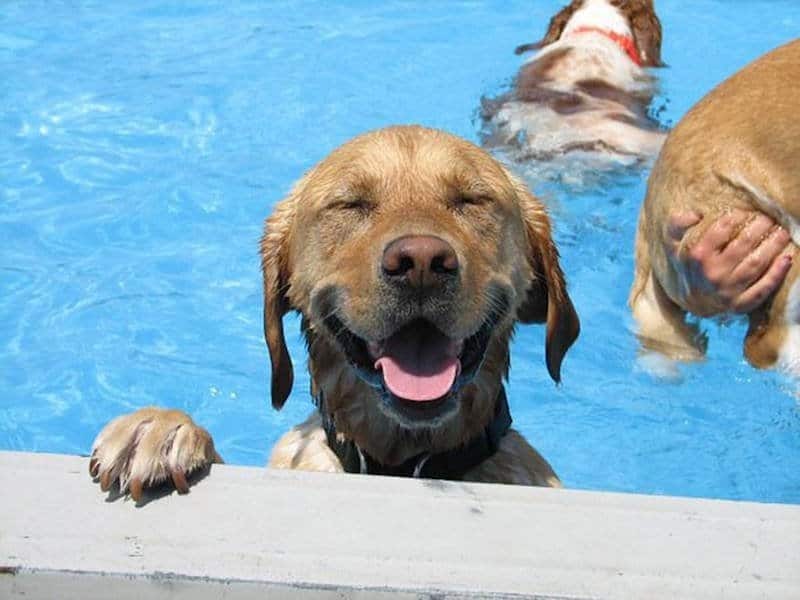 That’s the kind of look that says, “Ahhh, this water is the perfect temperature!” That is one blissed-out dog. It’s hard not to be happy at your birthday party. 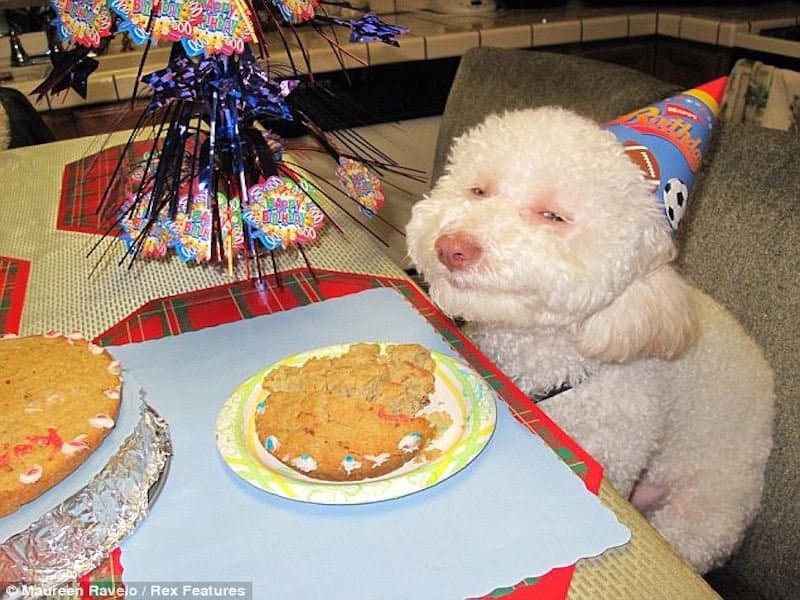 Looks like this dog might have helped himself to a few birthday beverages along with his cake. 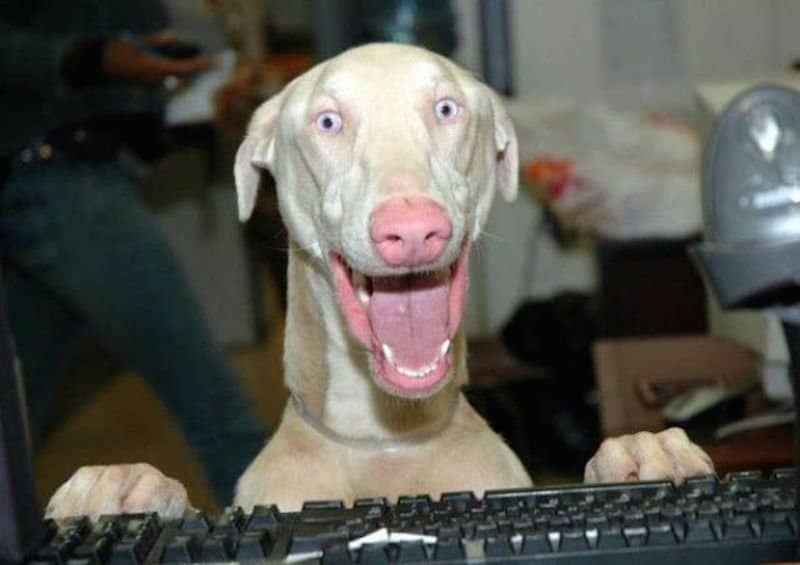 This dog looks pretty happy to be working away on the computer. He must have a really fun job. What could he be writing about? 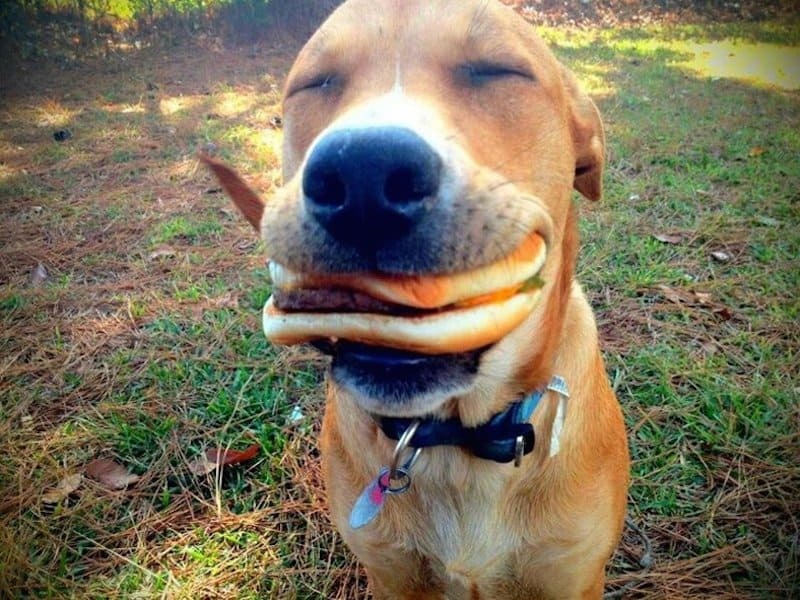 Most of us can relate to feeling this happy when we take that first bite of a delicious burger. 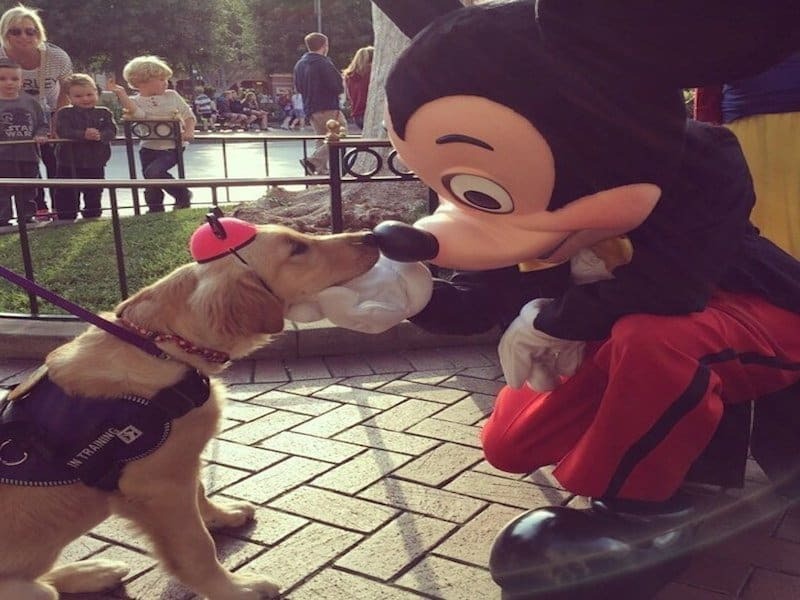 Looks like this dog will only need one bite to finish it, though! 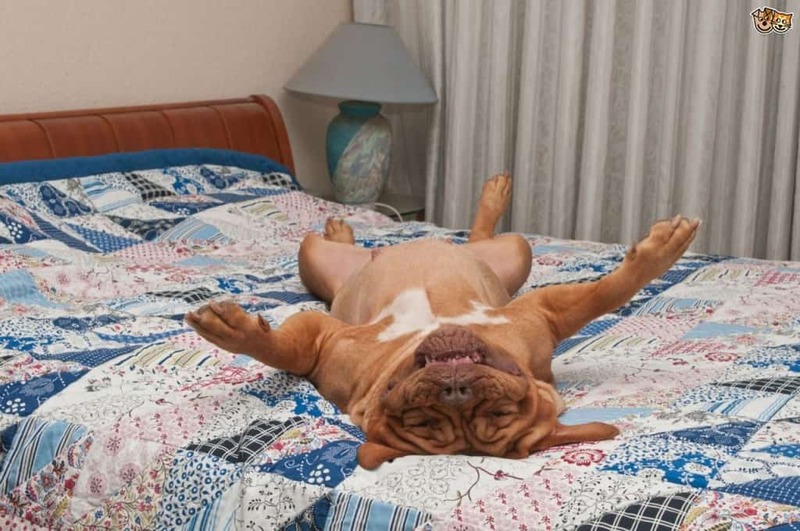 Who doesn’t like to collapse onto their bed at the end of a long day like this dog? Sweet dreams! 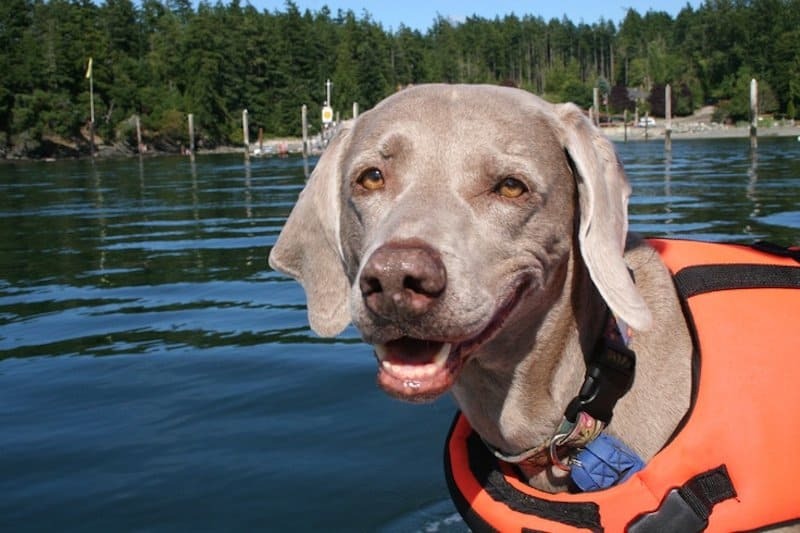 Looks like a beautiful day for a boat ride, so it’s hard to blame this dog for looking so happy. He even remembered his life jacket! 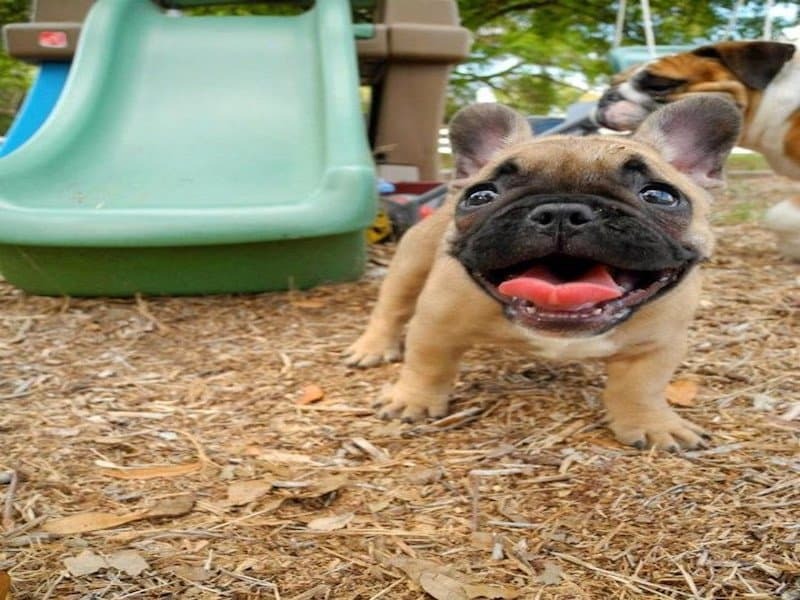 This dog couldn’t look happier to be spending a day at the farm! Do you think he thinks that’s where they grow treats? 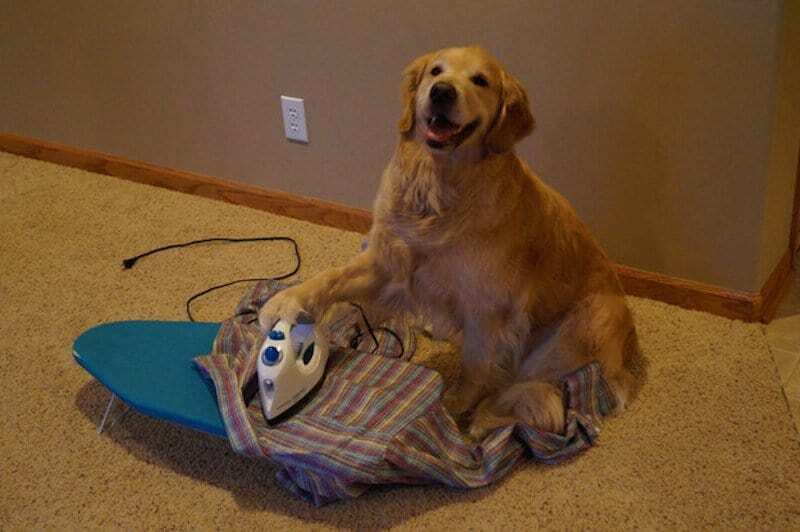 No one ever looks this happy doing housework! 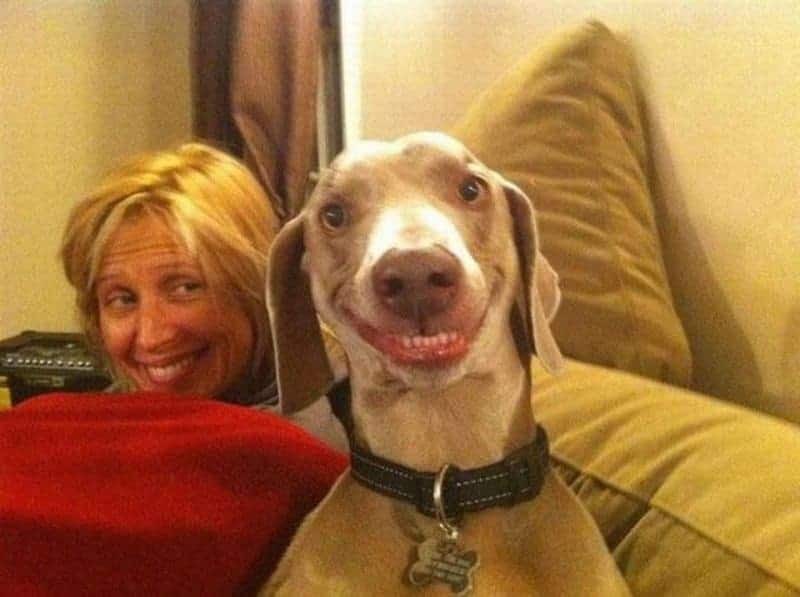 Is this dog available for hire? 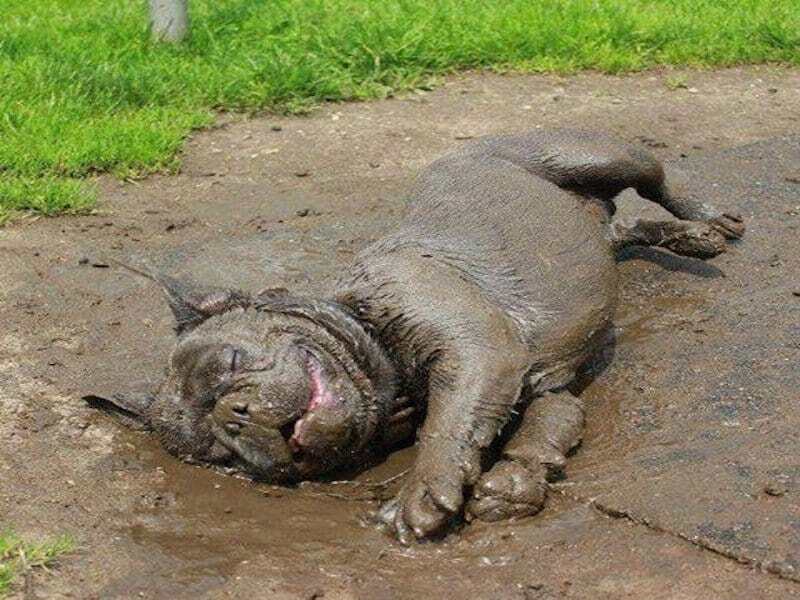 We bet his owner won’t be so happy when they have to clean him up! 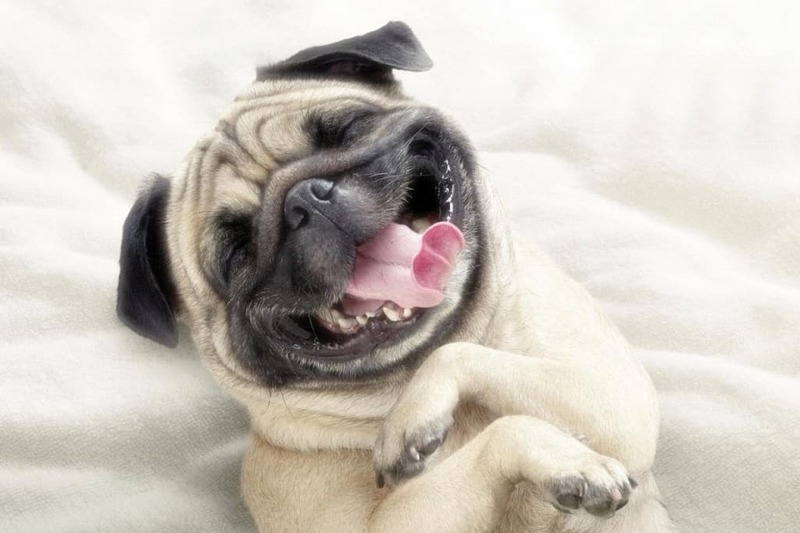 It would be hard to stay mad at that sweet face, though.